Haeden Bridge(CEO Namgung Hwan-Sik) announced that the company has made contract with Hughes, broadband satellite network-based online education service company regarding video conferencing software platform. Hughes, the world’s leading provider of broadband satellite service company, has supplied two-way satellite network based online education service globally. It covers 70% of online education via satellite network in India. Recently, however, there have been issues in network cost and bandwidth limit and therefore the company has considered turning to IP network and demand for new education service platform has arisen. The company has investigated about 10 two-way communication solutions over the last 2 years and decided to choose Haeden Bridge as its online education platform provider. Haeden Bridge will provide TOMMS with two-way muliticast tunnelling technology to Hughes for next 5 years. In addition to above features, TOMMS brought 3D virtual reality effect to video conferencing. The Ministry of Education is leading online mentoring service for middle/high school students, using 3D virtual screen. 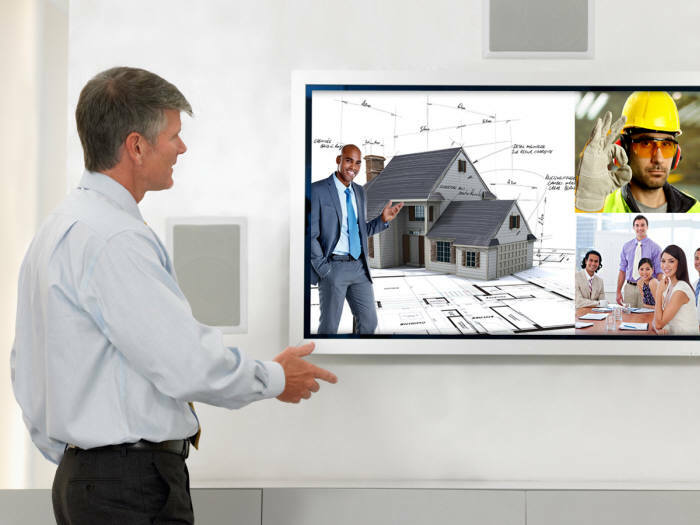 It is expected in the future that TOMMS will realize the 3D virtual conference in which people have video conferencing while controlling an object together.